TAMPA - The Toronto Blue Jays spoiled the Tampa Bay Rays home opener, by taking the first of three games 5-3. 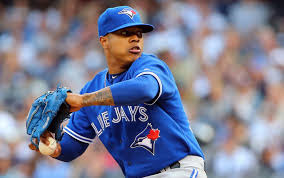 Marcus Stroman pitched 8 strong innings, keeping the Rays off stride a producing alot of ground balls. R.A. Dickey takes the mound vs Drew Smyly at Tropicana field at 7:10pm for the second of three games in Florida.